Hello Sunshine! Today I am back with another holiday recipe. 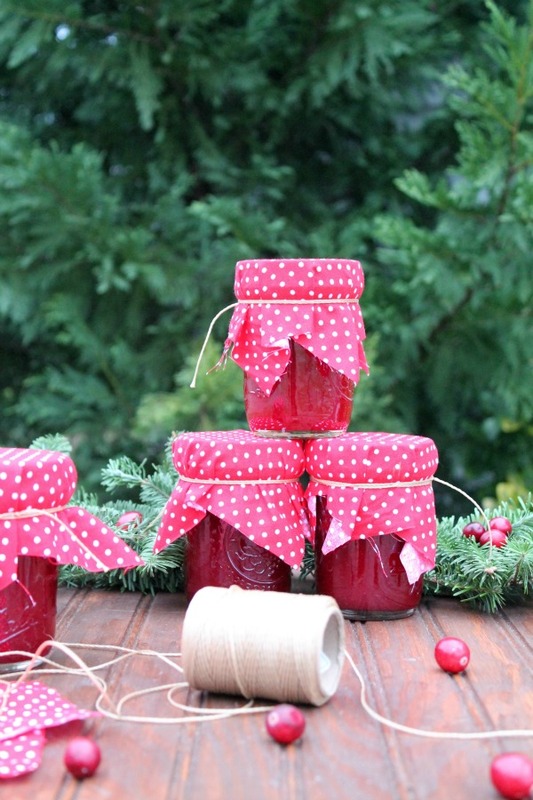 Cranberry sauce is a wonderful compliment to any holiday table. It's perfect with turkey, ham, stuffing! I absolutely love it! Since I have been trying to eat as clean as possible I started trying to make as many things as I can from scratch. I do this as much as possible and wanted to try a few more recipes this year. You should definitely try my homemade pumpkin puree. My mother-in-law gave me this very basic but delicious recipe that she has used when my husband was growing up. I gave it a try for Thanksgiving but wanted to share it with you for your Christmas dinner prep or to pin next year for the holidays. 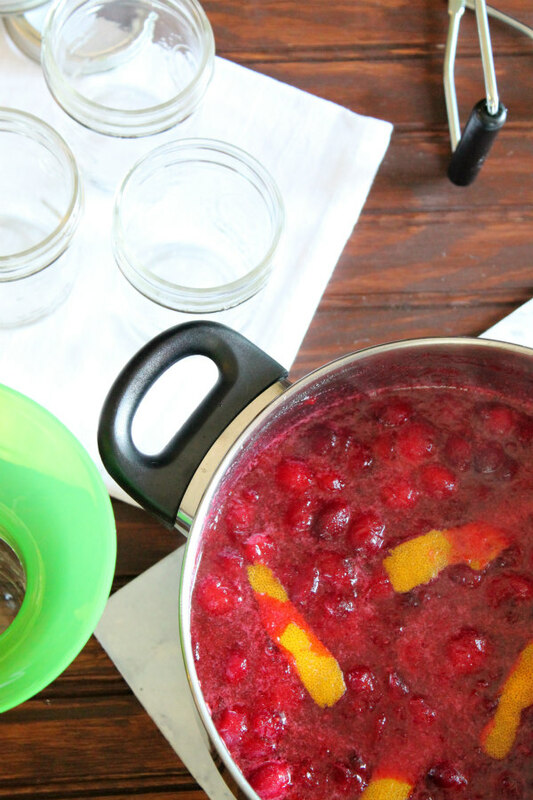 We are big fans of the jellied cranberry sauce and this recipe taste just as good and without all the preservatives. I decided to can my cranberry sauce and this time my cans popped! I hope to plan a little canning session with my mother-in-law this spring! ONE | In a medium saucepan, bring water and sugar to a boil over high heat, stirring to dissolve sugar. Add cranberries and return mixture to a boil. Reduce heat and shimmer gently for about 10 to 15 minutes, stirring occasionally, until all berries pop. Stir in orange zest, if using, during the last few minutes of cooking. 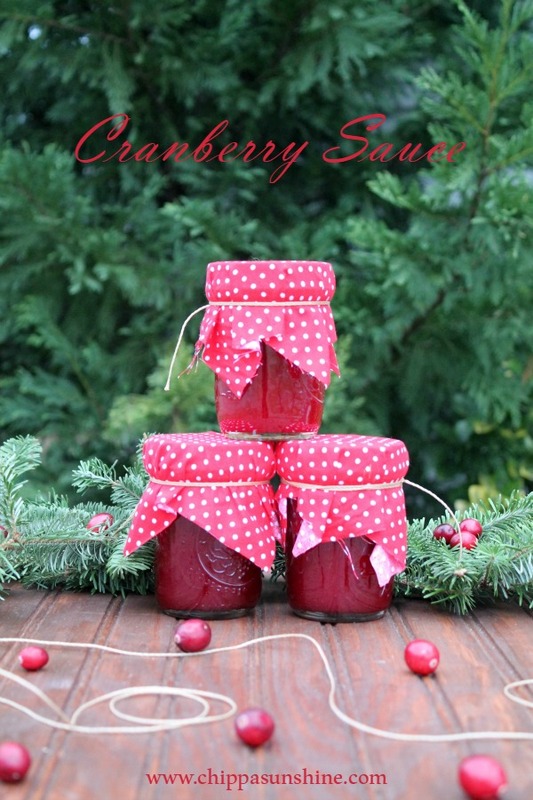 TWO | For Jellied Cranberry Sauce - Pour mixture into a blender and blend on high until smooth. Then strain mixture through a fine-mesh sieve over a heatproof bowl. Work quickly, the sauce will setup as soon as it starts to cool. You don't have to do anything special to make it jellied, cranberries have natural pectin in its skin. 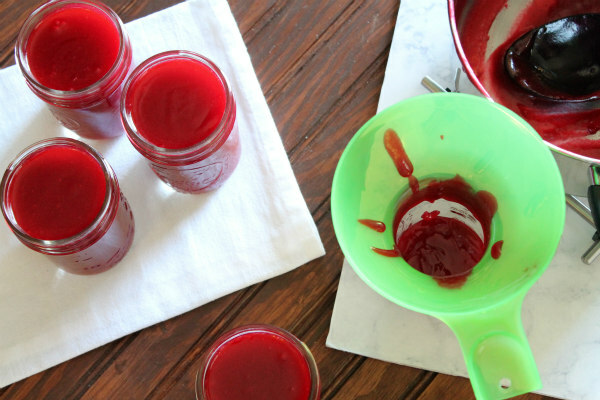 THREE | Pour cranberry sauce into sterile canning jars, leaving 1/4-inch headspace. Wipe the rims, place new sterile lids on the jars, and screw finger-tight. Place your filled jars in a canner of hot water. Bring to a boil and allow to boil for 15 minutes. Transfer to a towel to cool overnight, untouched. You should hear a small pop when the lids seal while cooling. If you want to skip the whole canning process, simply pour sauce into a serving bowl, cover and allow to cool completely at room temperature. Refrigerate until serving time. You can store your canned sauce safely in a cool, dark place for up to a year. This recipe makes 2 half-pint bell jars of sauce with a little left over. What will be on your holiday table? See ya soon! This was really good. Great job... And may I mention really cute as well. So cute and the pictures are beautiful!